When we went on our little Ranch Gordo buying spree while in San Francisco last month, Matt picked up a bag of dried hominy. We'd never cooked with it before but he said he wanted to make posole. It just so happened there was a recipe in the latest Cooking Light called Ancho Pork and Hominy Stew that looked pretty darn close to posole to us. Why have we never had this before? Why have we never had hominy before? It was so good. I really liked the spice mixture, it created such a flavorful broth. The hominy has a great texture & a slightly nutty flavor. This is a recipe you could really play with by adding things like jalapenos or other spicier peppers. Matt says posole is typically served with different toppings like lime juice and avocado so we'll try that next time. The original recipe called for canned hominy but we used dried so I've given directions on soaking & pre-cooking it. You do need to soak your beans overnight so plan ahead. If you use canned hominy you can skip those steps. I've also cur this recipe in half as the original made 6 servings. Cooking Light called it a stew but in our book this is much more of a soup. Place the hominy pot & cover with water. Let sit overnight. Drain the hominy and add a generous amount of fresh water, at least 2 cups. Add the 2 tablespoons onion. Bring to a boil. Reduce heat, cover and simmer for 2 1/2 to 3 1/2 hours (I let ours cook for 3 hours. Some of the hominy will split & it will be slightly al dente.). Let cool in the cooking water. Drain & set aside. Mix the ancho, oregano, paprika, cumin and salt together. Set aside 1 teaspoon of the spice mixture. Mix the pork with the remaining spice mixture. Heat 1/2 tablespoon of the oil in a large soup pot over medium-high heat. Add the pork & cook for about 5 minutes until browned. Remove the pork from the pot. Heat the remaining oil in the pot and add the onion, garlic & pepper. Cook until tender. Return the pork to the pot then add the hominy, chicken broth, tomatoes and reserved spice mixture. Bring to a boil, reduce heat, partially cover and let cook for 25 minutes. If you are not reading this post in a feed reader or at http://agoodappetite.blogspot.com OR at http://agoodappetite.com then the site you are reading is illegally publishing copyrighted material. Contact me at katbaro AT yahoo DOT COM. All recipes, text and photographs in this post are the original creations & property of the author unless otherwise noted. I'm glad to hear it turned out so well as that was one of the recipes from CL this month that I'm hoping to make soon. I'm glad to hear this. I will look for dried hominy, as we've only ever had it canned and were sorely disappointed. We live in an area with a lot of hispanics, so I imagine we should be able to get it rather easily. I love posole! it is common in the Southwest and something I enjoyed when I lived out there. I make a quickie posole at home but love the bowls at local Mexican spots like Pancho Villa and Chaska My Love (pls don't ask where they got the name!) I wish I could dig a spoon into the screen - how vibrant your posole looks!! This recipe looks great! 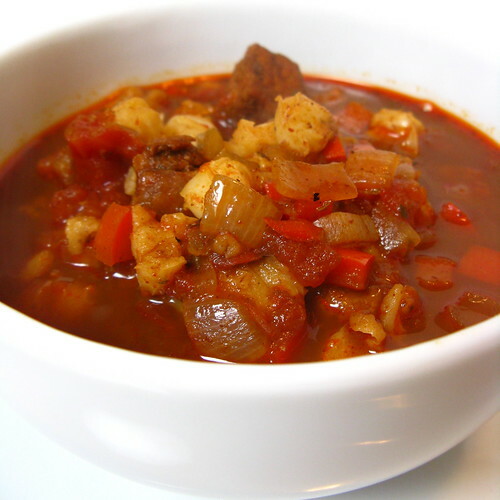 I adore the corn flavor of hominy and this looks like a wonderfully hearty soup! I've been talking about making posole for over a year now (I have a couple cans of hominy) There is so many different variations of it I don't know which one to choose!! Yours looks great though!! I've never had dried hominy either. I haven't had posole for a long time, and this looks delicious! Your posole looks fantastic!All your recipes and pictures are wonderful! I'm definitely making this one. I've wanted to make posole for a long time. It was Diego Rivera's favorite meal and I think of it every time I pass his mural at City College of San Francisco. Keep those hominy recipes coming. i don't have posole very often, but we always brew a batch after my grandpa finishes making his yearly hominy. good, good stuff. I was reading about posole this week (an old lady being scandalised because it was served at a wedding)! I have never had hominy before, but I really like the sound of this stew. We made this tonight using well-rinsed canned white hominy. We used canola oil instead of olive oil because EVO just doesn't sound like it goes with posole. And we added some roasted green chiles. This was really good! The green chiles with the red peppers gave the posole a festive look. I would definitely make this again, though I would use slightly less hot green chiles. My husband likes things hotter than I do! We have a Thanksgiving Giveaway winner!